I got this product via an online site (koreadepart.com) with my sisters. It was wayyyy back in 2014 and that was how long I have delayed in writing this post. That time, it was only USD1.95 for 5 pairs. So I shared with sis. Not my image. I got it from here as I threw mine away and later only realized that I have not take a pic of it. 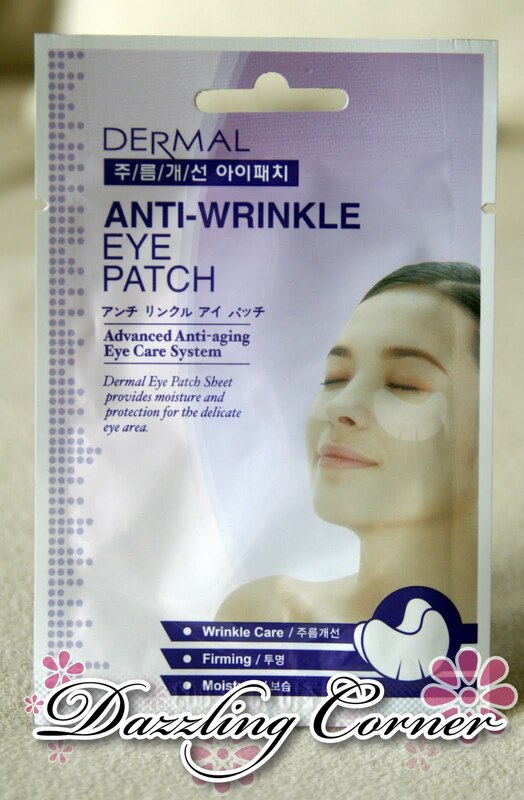 The package says that it is an "Advanced Anti-Aging Eye Care System" offering moisture, overall protection for the delicate eye area, wrinkle care and brightening. Not at all when it dries up (drying time is quite short upon tapping motion). There is quite some essence if you still wanna apply it to other areas of your neck and body area.